Intellectual Property Rights has proved itself to be invaluable in all senses in the socio-economic fields in the world. It has gained immense popularity in the recent past. It is what motivates people to create and innovate. Things which are governed by Intellectual property laws are creations of the mind. In this article, I have discussed 5 leading case laws under Patent Law, Copyright Law, and Trademarks Law. This landmark judgment is the first ever case in India dealing with granting of a compulsory license under an application made under Section 84 of the Patents Act, 1970. The petitioner, Bayer Corporation Ltd incorporated in the USA invented and developed a drug named ‘Nexavar (Sorafenib Tosylate)’used in the treatment of persons suffering from Kidney Cancer (RCC). The drug was granted an international patent in 45 countries including India. Under normal circumstances, a third party can manufacture and sell the patented drug only with the permission or license granted by the patent holder. Natco, a drug manufacturer had approached Bayer for grant of a voluntary license to manufacture and sell the drug at a much lower price of Rs. 10,000/- per month of therapy as against the price of Rs. 2, 80,428/- per month of therapy charged by the petitioner. The request was denied and hence they made an application to the Controller under section 84 of the Act for a compulsory license on the ground that petitioner had not met the reasonable requirement of the public in respect of the patented drug. It was granted on the condition that the applicant had to sell the drug at Rs 8,800/- per month and was directed to pay 6% of the total sale as royalty to the petitioner. Natco was also directed to sell the drug only in India and to make the drug available to at least 600 needy patients each year free of charge. Aggrieved by the order, the petitioner approached the Intellectual Property Appellate Board (IPAB) contending that the order passed was contrary to the provisions of the Act since the drug was made available at a lower price by Cipla. The board, however, rejected the contention by holding that the drug was not made available at a cheaper price by the petitioner and that the petitioner’s stance was detrimental to the public at large who are in need of the drug. Hence, the petitioner preferred an appeal in the High Court. 1. Has the requirements under Section 84(1) been satisfied for granting a compulsory license? 2. Whether supplies by infringers of a patented drug is to be considered/taken into account to determine the satisfaction of reasonable requirement test? With regard to Issue No.1, the Court held that all the three requirements under clauses (a), (b) and (c) of Section 84(1) for granting compulsory license has been satisfied in this case. The court opined that the question of whether the reasonable requirement of the public has been satisfied under Section 84(1) (a) is to be determined after examining the evidence produced by both the parties. In the present case, after examining the figures given by the Petitioner in affidavits it is clear that the requirements haven’t been met by the petitioner. It was held that the dual pricing system under the Patient Assistance Programme would not satisfy the conditions of Section 84(1) (b) and hence the drug was not considered to be available at a reasonable price to the public. On the question whether the patented drug has been worked in the territory of India, the Court held that when a patent holder is faced with an application for Compulsory License, it is for a patent holder to show that, patented invention/drug is worked in the territory of India by manufacture or otherwise. It is not compulsory that “Worked in India” should include “manufacture” if the patent holder can furnish valid reasons before the authorities for not manufacturing in India keeping Section 83 of the Act in mind. On Issue No. 2, the Court answered the question in negative and held that the supply by the infringers, Cipla and Natco cannot be taken into account since their supply could stop any day. It is only when the patent holder grants a de facto license could infringer’s supplies be taken into account. The obligation to meet a reasonable requirement of the public is of patent holder alone either by itself or through its licensees. Section 84(7) of Act, provides a deeming fiction which provides that reasonable requirement of the public is not satisfied, if demand for patented article is not met to an adequate extent in which regard the patent holder has failed in the present case. The decision, in this case, will go a long way to ensure that the interests of the public are drowned by reason of the personal interests of the patent holder in necessary circumstances. This was the historical decision in which the US Supreme Court considered the patentability of a living micro-organism. The decision is one which will have a huge impact in the field of Biotechnology. Ananda Chakrabarty, a microbiologist filed patent claims for human-made, genetically engineered bacterium that was capable of breaking down multiple components of crude oil. A patent examiner rejected the patent because it was outside of the scope of the patentable subject matter under 35 U.S.C. §101. The Patent Office Board of Appeals affirmed and ruled that living things are not patentable subject matter under Section 101. The Court of Customs and Patent Appeals reversed this decision holding that the fact that micro-organisms are alive are insignificant for the purpose of patent law. Diamond, the Commissioner of Patents, petitioned the United States Supreme Court for certiorari against the decision of the Court of Appeals. The main issue before the Court was whether the respondent’s micro-organism plainly qualifies as patentable subject matter? Diamond raised the argument that with the enactment of the Plant Patent Act, 1930 and Plant Variety Protection Act, 1970 Congress implicitly understood that living organisms were not within the scope of 35 U.S.C. §101. He also relied upon the judgment in Parker v. Flook wherein it was held that courts should show restraint before expanding protection under 35 U.S.C. §101 into new, unforeseen areas. Section 101 of Title 35 U.S.C. provides for the issuance of a patent to a person who invents or discovers “any” new and useful “manufacture” or “composition of matter.” The court held that a live, human-made micro-organism is a patentable subject matter under Section 101 and that the respondent’s microorganism constituted a “manufacture” or “composition of matter under the statute. The court opined that the organism was a product of human ingenuity “having a distinctive name, character, and use”. Moreover, the Court rejected the appellant’s argument by holding that the patent protection afforded under the Plant Patent Act, 1930 and Plant Variety Protection Act, 1970 was not the evidence of the Congress’ intention to exclude living things from being patented. The court pointed out that genetic technology was not foreseen by the Congress do not make it non-patentable unless expressly provided. The Court held that the language of the Act was wide enough to embrace the respondent’s invention. This landmark judgment is the first case relating to cybersquatting in India. Cybersquatting has been defined as the registration, trafficking in, or use of a domain name that is either identical or confusingly similar to a distinctive trademark or is confusingly similar to or dilutive of a famous trademark. The plaintiff is a global internet media who is the owner of the trademark ‘Yahoo!’ and domain name ‘Yahoo.Com’, which are very well-known and rendering services under its domain name. 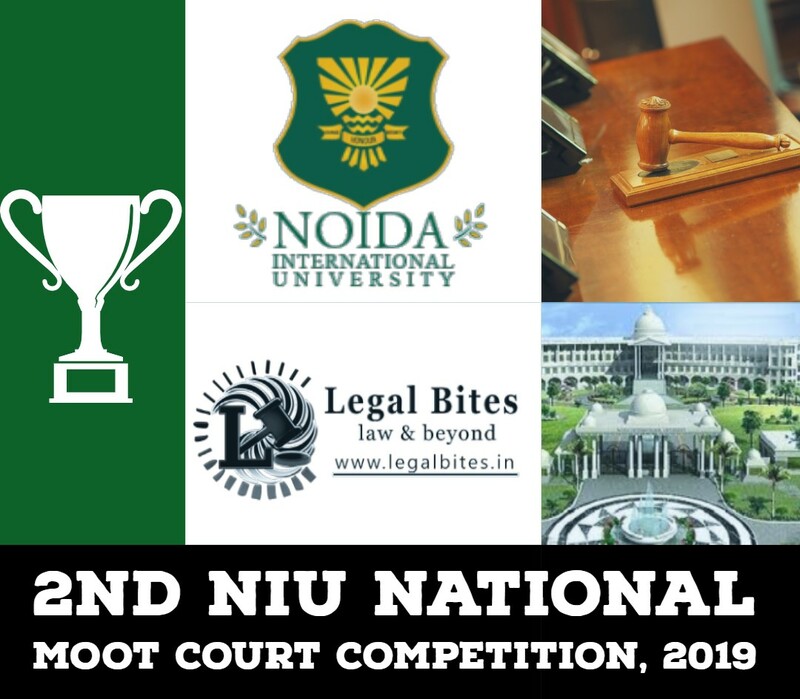 While the application of the plaintiff for registration of the trademark was pending in India, the defendant Akash Arora started providing similar services under the name ‘Yahooindia’. The present case is brought out by the plaintiff for passing off the services and goods of the defendants as that of the plaintiff’s by using a name which is identical to or deceptively similar to the plaintiff’s trademark ‘Yahoo!‘ and prayed for a permanent injunction to prevent the defendant from continuing to use the name. Whether an action for passing off could be maintained against services rendered? Whether a domain name is protected under the Trade and Merchandise Marks Act, 1958? Whether the use of a disclaimer by the defendant will eliminate the problem? The Delhi High Court extensively examined the issues and rejected the defendant’s contention that an action for passing off could only be brought against goods and not services rendered by virtue of Section 2(5), Sections 27, 29 and Section 30 of the Act. It was held that the passing off action could be maintained against the service, as the service rendered could be recognized for an action of passing off. The law relating to passing off is well settled an clear. The principle behind the same is that no man can carry on his business in a way that can lead to believing that he is carrying on the business of another man or has some connection with another man for the business. The plaintiff is entitled to reliefs under Section 27(2) and Section 106 of the Act which is governed by principles of Common law. With regard to Issue No 2, the Hon’ble Court relied on the US case Card service International Inc. vs. McGee, and held that domain name serves the same function as a trademark and is hence entitled to the same protection. While discussing the impact of the disclaimer issued by the defendant, the Court held that it would not eliminate the problem because of the nature of Internet use. The users might not be sophisticated enough to understand the slight difference in the domain name to distinguish between the two. The Court addressed each of these issues and came to the conclusion that Yahoo Inc had a good reputation in the market and that the name adopted by the defendants were deceptive and misleading causing damage to the reputation of the plaintiff and undue gain for the defendants. In consequence, the court granted an injunction in favor of plaintiff under Rule 1 and 2 of Order 39 of CPC, 1908. 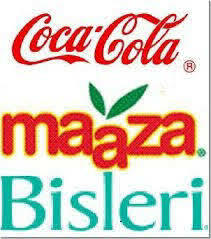 The Coca-Cola Company vs. Bisleri International Pvt. Ltd. and Ors. This case is better known as the MAAZA War case was decided by the Delhi Court. The plaintiff (Coca Cola) is the largest brand of soft drinks operating in 200 countries whereas Defendant No1 earlier known as Acqua Minerals Pvt. Ltd. used to be a part of the Parle Group of Industries. The owners of Bisleri had sold the trademarks, formulation rights, know-how, intellectual property rights, and goodwill etc. of their product MAAZA amongst others to the plaintiff by a master agreement. In March 2008, when the plaintiff filed for registration of MAAZA trademark in Turkey, the defendant sent a legal notice repudiating the Licensing Agreement thereby ceasing the plaintiff from manufacturing MAAZA and using its trademarks etc. directly or indirectly, by itself or through its affiliates. In consequence, the plaintiff claimed permanent injunction and damages for infringement of trademark and passing off. The plaintiff also alleged that the defendant had unauthorisedly permitted the manufacture of certain ingredients of the beverage bases of MAAZA to be manufactured by a third party in India. Does the Delhi High Court has jurisdiction in the present case? Is there any infringement of the trademark or passing off? Is the plaintiff entitled to get the permanent injunction? It was held that the Court had jurisdiction to decide the case if a threat of infringement exists. It was pointed out that an intention to use the trademark besides direct or indirect use of the trademark was sufficient to give jurisdiction to the court to decide on the issue. The court held that it is a well-settled position of law that exporting products from a country is to be considered as a sale within the country where from the goods are exported and it amounts to infringement of the trademark. This very interesting case is a recent and landmark judgment in the field of copyright law. DC Comics (DC) is the publisher and copyright owner of comic books featuring the story of the world-famous character, Batman. Originally introduced in the Batman comic books in 1941, the Batmobile is a fictional, high-tech automobile that Batman employs as his primary mode of transportation. The Batmobile has varied in appearance over the years, but its name and key characteristics as Batman’s personal crime-fighting vehicle have remained consistent. Since its creation in the comic books, the Batmobile has also been depicted in numerous television programs and motion pictures. Two of these depictions are relevant to this case: the 1966 television series Batman, starring Adam West, and the 1989 motion picture Batman, starring Michael Keaton. Defendant Mark Towle produces replicas of the Batmobile as it appeared in both the 1966 television show and 1989 motion picture as part of his business at Gotham Garage, where he manufactures and sells replicas of automobiles featured in motion pictures or television programs for approximately “avid car collectors” who “know the entire history of the Batmobile.” Towle also sells kits that allow customers to modify their cars to look like the Batmobile, as it appeared in the 1966 television show and the 1989 motion picture. DC filed this action against Towle, alleging, among other things, causes of action for copyright infringement, trademark infringement, and unfair competition arising from Towle’s manufacture and sale of the Batmobile replicas. The district court passed a summary judgment in favor of DC. The main question for consideration is whether BATMOBILE is entitled to copyright protection. The Court of Appeal relied on a number of historical decisions in deciding this case. The court held that copyright protection extends not only to an original work as a whole but also to “sufficiently distinctive” elements, like comic book characters, contained within the work. Although comic book characters are not listed in the Copyright Act, courts have long held that, as distinguished from purely “literary” characters, comic book characters, which have “physical as well as conceptual qualities”, are copyrightable. The court relied on the judgment in Hachiki’s case where it was held that automotive character can be copyrightable. Moreover, it has been held that copyright protection can apply for a character even if the character’s appearance changes over time. The U.S. Court of Appeals for the Ninth Circuit in this case developed a three-part test for determining protection of a character appearing in comic books, television programs or films under the 1976 Copyright Act, independent of any specific work in which it has appeared and irrespective of whether it “lacks sentient attributes and does not speak” as explained above. The court held that the present case satisfied the three-part test DC had the right to bring suit because it had reserved all merchandising rights when it granted licenses for the creation of the 1966 Batman television series and the 1989 Batman film. It was held that the 1966 program and 1989 film were derivative works of the original Batman comics and that any infringement of those derivative works also gave rise to a claim for DC, the copyright owner of the underlying works. It was found that Towle’s replicas infringed upon DC’s rights hence the Court also upheld the District Court’s refusal to allow Towle to assert a laches defense on DC’s trademark claims because the infringement was found to be willful. The law relating to intellectual property is constantly evolving all around the world. Being a relatively new concept, there are many areas which still need developing and protection of the laws. All the above-mentioned case laws have a wide impact on society. They have brought about major breakthroughs in IP law. Hereinafter referred to as the ‘Act’. Walt Disney Productions v. Air Pirates, 581 F.2d 751 (9th Cir. 1978). Halicki Films, LLC v Sanderson Sales & Marketing, 547 F.3d 1213 (9th Cir. 2008). Disclaimer: Legal Bites is determined to include views and opinions from all sides of the spectrum. This doesn’t mean we agree with everything we publish. But we do support their right to freedom of speech. 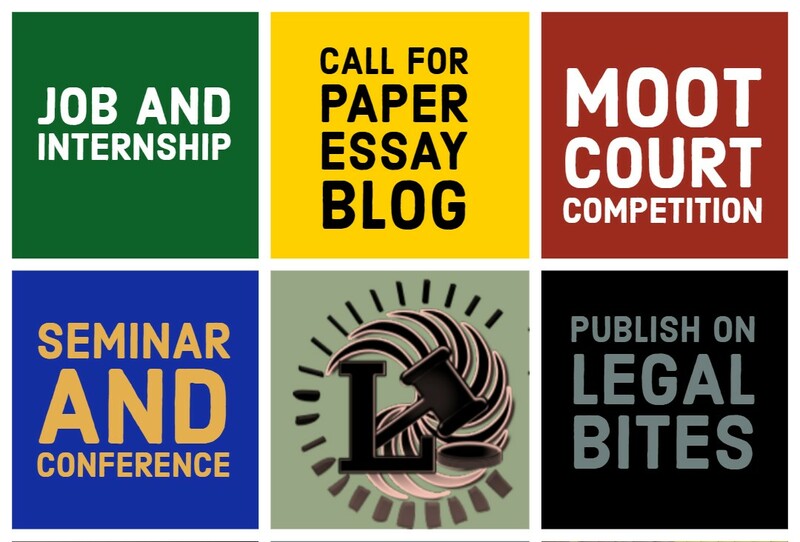 In case of content writers/editors/bloggers articles, the information, ideas or opinions in the articles are of the author and do not reflect the views of Legal Bites. Legal Bites does not assume any responsibility or liability for the same.